St. Patrick’s is committed to the continuous raising of achievement of all of our pupils. Regular attendance is critical if our pupils are to be successful and benefit from the opportunities presented to them. One of our basic principles is to celebrate success. Good, punctual attendance is fundamental to a successful and fulfilling school experience. St Patrick’s actively promotes 100% attendance for all of our pupils. Pupils should arrive in school on time, in correct school uniform and ready to learn. 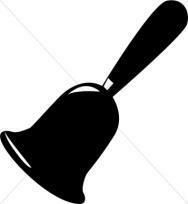 Pupils should be on the school playground ready to join their class line at 8.45am when the bell is rung. The playground is supervised from 8.30am but we suggest that parents of younger Infant children stay with their child until the bell is rung. Pupils should be collected promptly at 3.20pm. For safeguarding reasons, please call the school office if a new carer is collecting your child. By law all absences must be recorded by the school. Parents should preferably contact the school on the first day of absence. The office will automatically text parents for an explanation if none is received. Attendance and punctuality are monitored daily and overseen by an Education Welfare Officer (EWO) on behalf of the school in partnership with Greenwich Council Education Department. Our school EWO will contact parents directly if she has concerns about absence from school or persistently poor punctuality.